On the celestial occasion of Kanuma festival, Paruveta Utsavam was held in Tirumala with religious fervour on Wednesday evening. 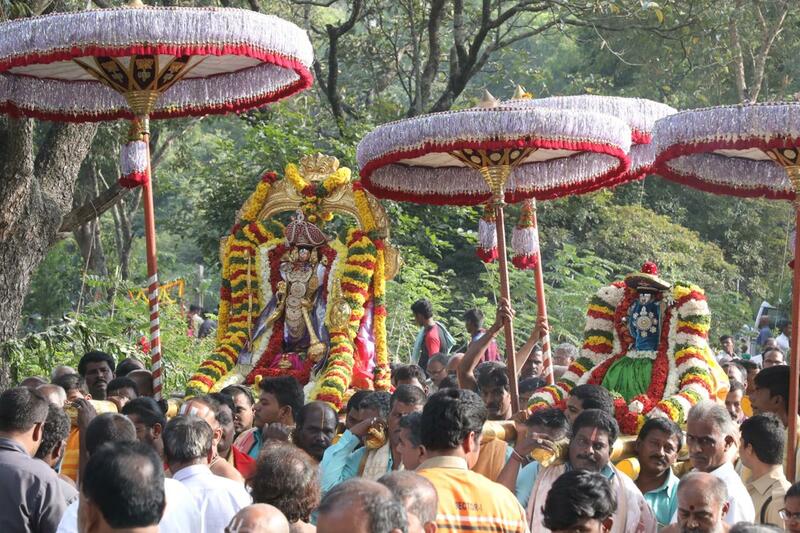 As a part of this fete, Sri Malayappa Swamy on one Tiruchi accompanied by Sri Krishna Swamy on another Tiruchi reached the Paruveta Mandapam located in deep woods of Seshachala ranges. Later Sannidhi Golla offers Sri Krishna Swamy milk and butter which is customary tradition followed by harati while the same prasadams are offered to Sri Malayappa Swamy also by Sannidhi Golla. This event is followed by rendition of devotional songs by tge artistes of Annamacharya Project. 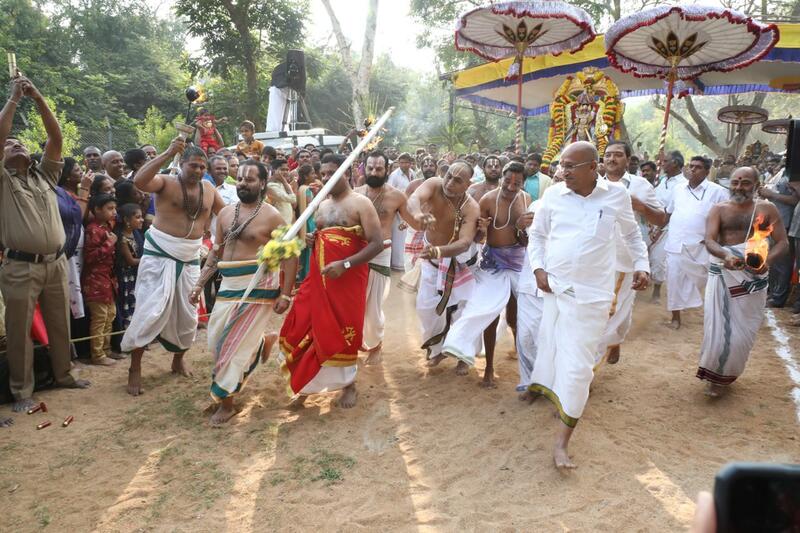 Afterwards, Sri Malayappa wearing Panchayudhas took part in the mock hunt. Some archakas threw the weapons on wild animals and enacted the same thrice. Devotees took part in large numbers in this fun filled religious event and thoroughly enjoyed the Divine Mock Hunt. Temple DyEO Sri Haridranath, Peishkar Sri Ramesh, VGO Sri Manohar, Parupattedar Sri Sasidhar and others were also present.